Bonjour, previously known as Rendezvous, is an implementation of Zeroconf created by Apple, that allows you to create a network without any need for any kind of configuration, because it locates all the services provided by the computers and printers on a local network. 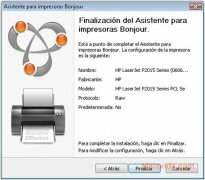 To be able to use a printer with the Bonjour service activated over a local network without configuring anything on a computer that uses one of the operating systems by Microsoft, you need to install Bonjour for Windows. 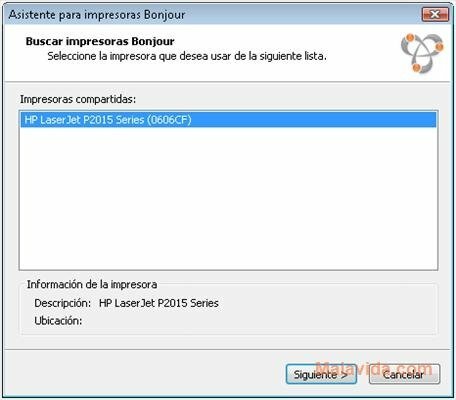 The configuration of Bonjour for Windows is rather simple, all you have to do is launch the application, select the printer that you want to configure and click on next. 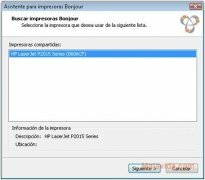 The program will fulfil the full process and will show a screen with all the details. 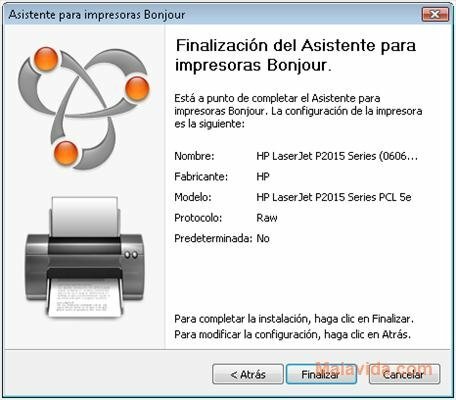 Therefore, if you use a printer with the Bonjour service usually used by Mac computers, you'll have to download and install Bonjour for Windows.